Kayak on Loch Lomond. Single kayak, twin kayak, triple kayak. Beginners lessons. Guided tours. Equipment hire. Group bookings. BCU qualified staff. Price from £20 per kayak. Experience Loch Lomond by kayak. A fun activity which is suitable for all ages and abilities. Kayaks are available to hire from Loch Lomond Leisure. All pariticpants will receive a safety induction and some basic training but once you set off from Luss you will be completely independent and enjoy the freedom to explore Loch Lomond at your own pace. ** Overnight Kayak Hire between the hours of 6pm & 10am. Additional charges will be incurred – at the normal hourly rate – per additional hour past the return time of 10am. 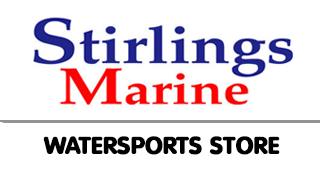 A £50.00 deposit is required for overnight bookings and Long Term Hires, and is returnable on receipt of undamaged kayaks. Guided kayak tours are available from Loch Lomond Leisure. A fully qualified BCU coach will lead you on an expedition for 2 or 4 hours and you are certain to enjoy the added benefit of local knowledge and expert tuition. *The price is per kayak. (The minimum group size is 4 kayaks and small groups may be mixed together). Group bookings are possible and the maximum group size is 48 participants. Group bookings are available for both hire options (basic hire and guided tour). Special rates are offered for schools, universities and youth groups. Please contact us now for more info. After changing there will be a very short walk to the beach and you will be introduced to the coaching staff who have been trained and licensed by the British Canoe Union (BCU). Kayaking is available from March to October. Kayaking is not available during the winter months. Participant must be older than 3 years for Kayaking.